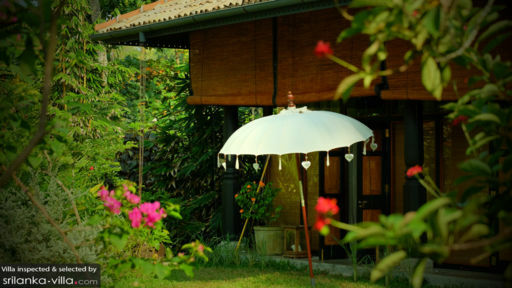 Villa travellers will be swept away by the myriad attractions along Sri Lanka’s southern coast. A feast for your senses await; keep your eyes peeled for vast swathes of golden sandy shores, sparkling ocean waters, fishermen on stilts, emerald rice paddies and stunning colonial buildings. There’s something for every vacationer - from surfing and snorkeling, to visiting renowned cultural sites or sighting wildlife animals in a national park. Your South Sri Lanka villa comes with all the features you’d expect of a luxury vacation rental. Service is impeccable, and the warm hospitality of the staff will make you feel right at home. Indoor spaces are large and well-appointed, and the outdoor compound is lush and sprawling, with a private pool and tropical foliage. For some of the best sea vistas, we recommend renting a villa right along the coast - so you’ll wake up to a picture-perfect sunrise each morning. Beautiful Mirissa boasts a picture-perfect beach that’s great for sunbathing and surfing (the strong waves here are best suited for advanced surfers). A whale watching tour at Mirissa Harbour and a visit to the Handunugoda Tea Estate are activities that families will enjoy. 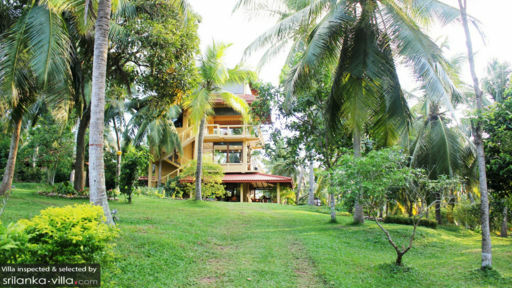 Both sites are about a 45-minute drive from the town center of Mirissa. Around Mirissa lie Unawatuna and Weligama. Both are coastal towns exuding a laid back vibe, although Unawatuna is the busier town of the two thanks to a growing crowd of travellers. Unawatuna offers a wide-ranging variety of activities for villa vacationers - from diving and surfing to yoga and cooking classes - while quiet Weligama boasts a gorgeous beach and great surfing. While you’re in town, stop by to take in the sight of the Kushtaraja Gala statue, located about a six-minute drive from the town center. Tangalle, one of the more developed beachfront destinations on the island features a sweeping coast dotted with guesthouses and high-end vacation rentals. When you’re not sunbathing at the beach or surfing (Bandula Surfing School is a great one to start with for newbies), hop into a car for a day trip out to explore the attractions in the vicinity. The Turtle Conservation Project at Rekawa Beach is a must-visit for animal lovers, while culture buffs will appreciate the colourful shrines of Wewurukannala and the majestic Buddha statues of Mulgirigala Temple. Water sports enthusiasts will enjoy kayaking at Tangalle Lagoon, located just a stone’s throw away from the town center. There’s much more to see and do beyond the attractions peppered around your immediate surroundings. Carve out day or two for a longer drive out to visit places like Bundala National Park, Udawalawe National Park, Sithulpauwwa Rock Temple, Magul Maha Viharaya and the Kosgoda Sea Turtle Conservation Project. With the exception of Kosgoda, the remaining attractions are scattered along the southeastern region of Sri Lanka and are best explored from Tangalle. Kosgoda is easily accessible from the towns of Mirissa, Weligama or Unawatuna.